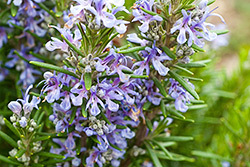 Although some people already use the popular herb rosemary (Rosmarinus officinalis) for seasoning their meat, this combination may become more common in the near future as food manufacturers respond to consumer demand for more natural products. Currently, two of the most common additives used to preserve meat are Butylated hydroxytoluene (BHT) and Butylated hydroxyanisole (BHA). But studies have linked BHA with cancer and BHT with hyperactivity, causing some consumers to avoid products containing them (read ingredients labels to find out if they’re in the foods you buy). In a 2006 study, essential oils of rosemary and sage performed better at preventing oxidative decay and preventing loss of polyunsaturated fatty acids in meat than a combination of BHA and BHT. This means rosemary essential oil and sage essential oil may be one of the best natural food preservers yet discovered, and instead of having detrimental side effects, these natural oils offers protective health benefits! Researchers are encouraged by this success and are still investigating ways that essential oils could be used to replace additives in a more real-world setting. One hurdle that may need to be overcome is that plant oils impart a distinctive aroma to meat, one that not all consumers may appreciate. But if you like rosemary and sage with your meat, that “problem” may be no problem at all!